* Akpabio, the immediate past governor of the state, however, dismissed the claims Speaker of Akwa Ibom state House of Assembly, Honourable Onofiok Luke, on Thursday, November 29, accused the immediate past governor of the state, Senator Godswill Akpabio of plotting to kill him. Honourable Luke also accused Akpabio of masterminding the recent crisis that engulfed the state House of Assembly. In a statement sent to journalists by his spokesman, Kufre Okon, the speaker said Akpabio and his wife should be held responsible if any harm befalls him. “May we reiterate that the honourable speaker of the Akwa Ibom state House of Assembly, Onofiok Luke stands by his earlier statement on the sponsored assassination attempt on him by Senator Akpabio and at the appropriate time, will take necessary actions. “The world should know that if anything untoward happens to the Speaker, Senator Akpabio and his wife should be held responsible,’’ part of the statement read. 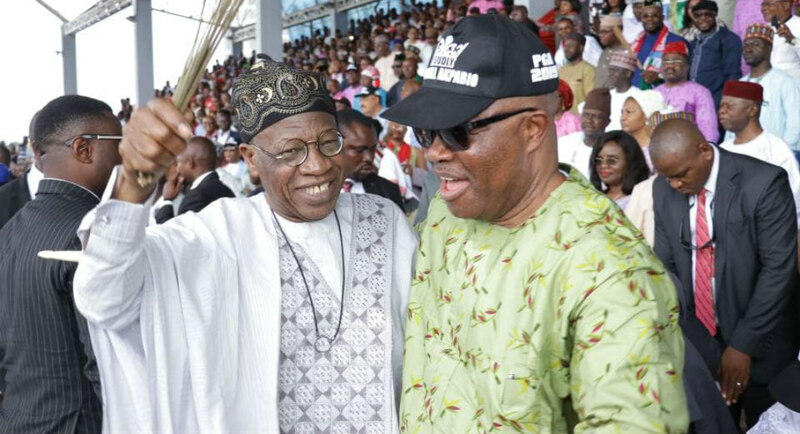 Reacting to the allegation, Senator Akpabio’s media aide, Jackson Udom, said the allegation is “an act of childishness,’’ adding that it is “a lie from the pit of hell.’’ “For the avoidance of doubt, we wish to state categorically that Senator Akpabio has not sent anyone to assassinate Luke. He has neither reason nor motivation to do so. “The senator will never subscribe to any plot to eliminate any Akwa Ibom son or any human being for that matter, let alone Onofiok Luke who had served him as his personal assistant while he was the governor of Akwa Ibom state. “This latest outburst by Luke is a further confirmation of our caution on the attempt to denigrate Senator Akpabio since he defected from the PDP to APC. “The statement by Luke is not only spurious but false and malicious and the figment of his wild imagination. Senator Akpabio takes very strong exception to this campaign of calumny by Luke and others and will not take this accusation lightly,’’ the statement said. Senator Akpabio had earlier denied playing any role in the House of Assembly crises. The senator described the allegation against him as planned to malign his integrity. A statement by his media aide noted that Akpabio was never at the scene of the fracas neither has anyone any evidence of his involvement.